This topic contains 0 replies, has 1 voice, and was last updated by Zach Coble 2 months, 2 weeks ago. The award recognized excellent digital humanities scholarship in the NYCDH community.The first prize winner will receive a cash prize of $1000. Two runner-up positions will receive $500 each. All three winning proposals will have the opportunity to receive support from one or more of the many centers affiliated with NYCDH; support can include, when needed, consultations, networking and possible access to institutional resources (website hosting, software licenses, etc.). Winners will also receive exposure on NYCDH.org and associated social media outlets, and will have the opportunity to present their work at our annual NYCDH Week Kickoff Meeting. Project proposals can be submitted by individuals or teams. We are accepting proposals for projects in all stages of development, from early to mid-stage to complete. 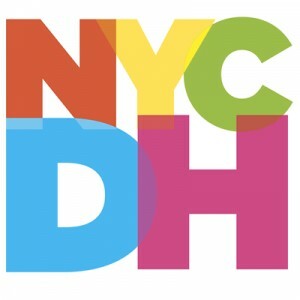 Submit proposals by email to nycdigitalhumanities@gmail.com with the subject heading: NYCDH Grad Student Award Proposal 2019.